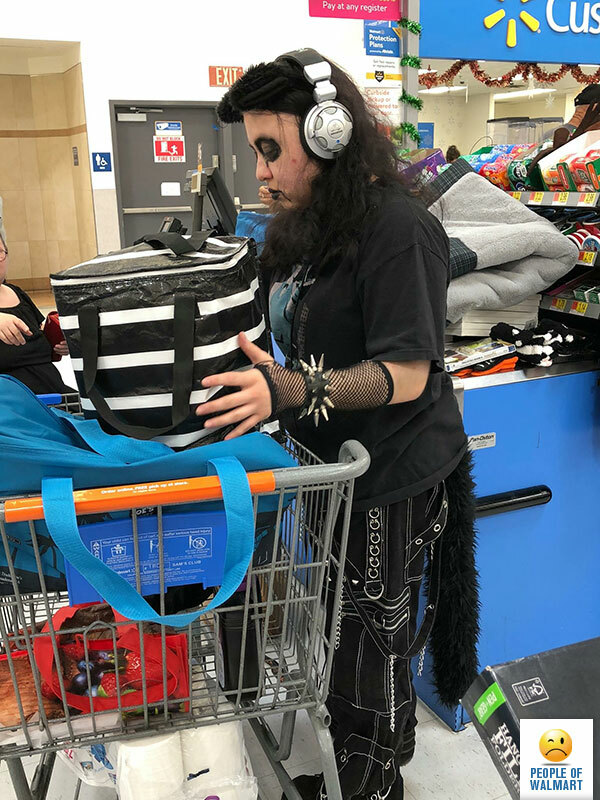 I’m glad to see goths are still a thing. It’s funny how in everyday business life you don’t run into any of them like you did in high school. Like you never run down to talk to Janet in accounting and she’s at her desk wearing a dog collar and has her face painted like The Crow. Goths DO NOT wear those stupid tails; that is the realm of lame-asses. She does not need the headphones to keep people from engaging in conversation with her. Is this even a woman? This is the “before” pic to the “after” pic of the lady in the Eyeore onesie.